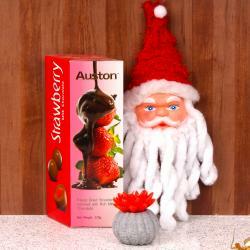 Product Consist : Spring Assortment Milk Chocolate (Weight : 150 Gms) along with Santa Face Bunny Hair Band and Pillar Candle. 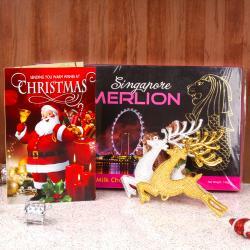 We have bring you a unique hamper for the unusual christmas gifting. This hamper includes this Red Hair Band comes with two cute bunny faces. 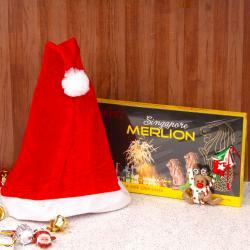 This Hair band is look so exclusive and unique for Christmas dressing also surprised element of yummy chocolates which includes the Special assortment of milk chocolate imported from Malaysia. Complete your christmas wishes by sending a candle and pray to god for love and peace should be there in your recipient life. 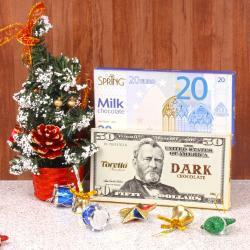 Product Consist : Spring Assortment Milk Chocolate (Weight : 150 Gms) along with Santa Face Bunny Hair Band and Pillar Candle.